Ergosoft is Staedtler's top range of pencils, above Noris. 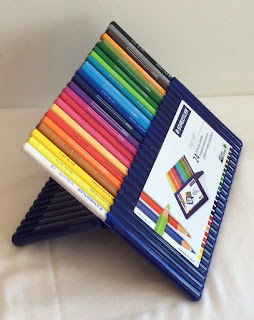 They are a mid price range pencil so not in the league of Polychromos and Prismacolor. 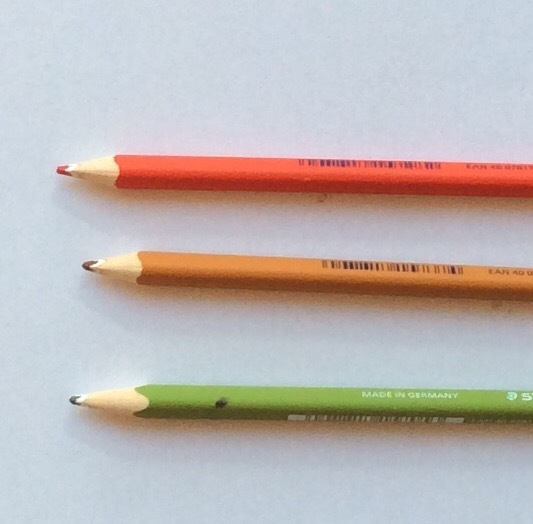 Most of us are quite passionate about the pens and pencils we use. So in reviewing a brand of pencil, some of you will nod in agreement and others will feel the opposite! - The hard, blue case is a really good design feature. The top folds back to become a stand for the pencils, making them easy to use and return to the case. - These are wax based pencils. - To strengthen and protect the 3mm core there is a white coating around it. You can see this below in the Sharpening section. Staedtler calls this the ABS - Anti Break System. 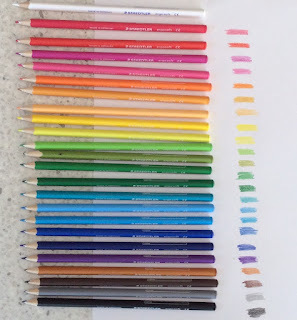 By way of comparison, the Polychromos pencils are a 4mm core. - There is a limited edition of these pencils with Johanna Basford's endorsement. They come in a cardboard box and seem to be quite difficult to get now. 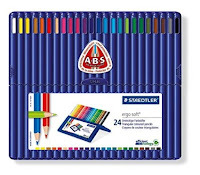 They contain the same pencils as in the blue case set. In NZ they are cheaper. See the link below. 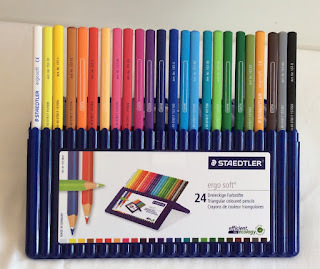 As a mid price range pencil I'm pleased to have them. They perform well and the features of the stand up case and the barrel shape work well. The range of colours suits me too. There are good pinks, reds, blues and I'd like one more green. 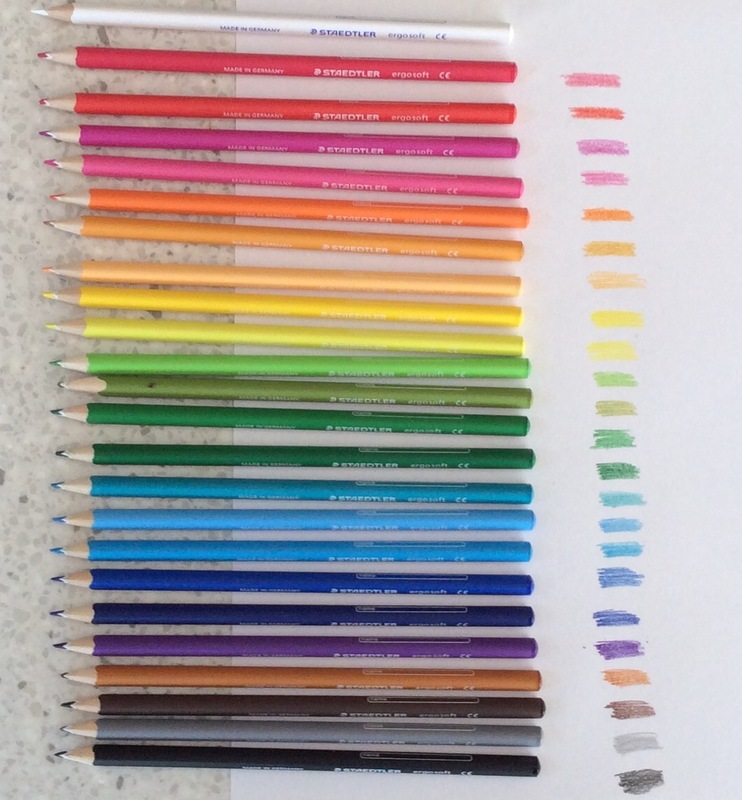 Thankfully there aren't too many yellows or greys. The black is a bit on the pale side though. I noticed that the darker colours can be a bit patchy in coverage but I quite like that for giving texture. 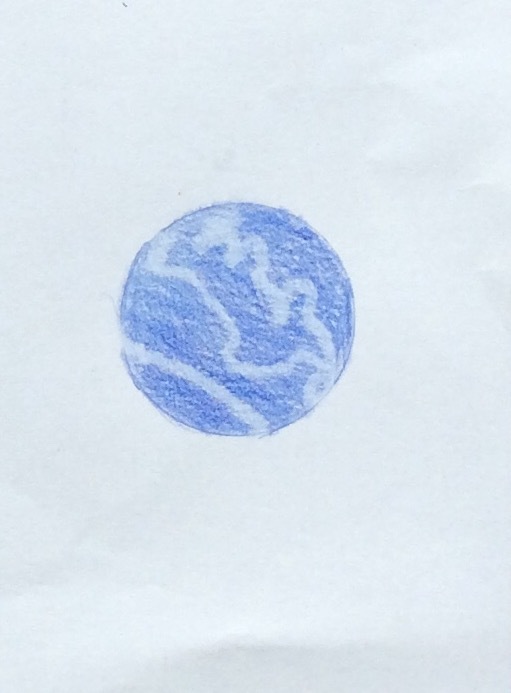 As you can see, I took these four colours and they blended together well, without using any blending medium. I had used these three colours in the Pictura Cats image so they needed sharpening. 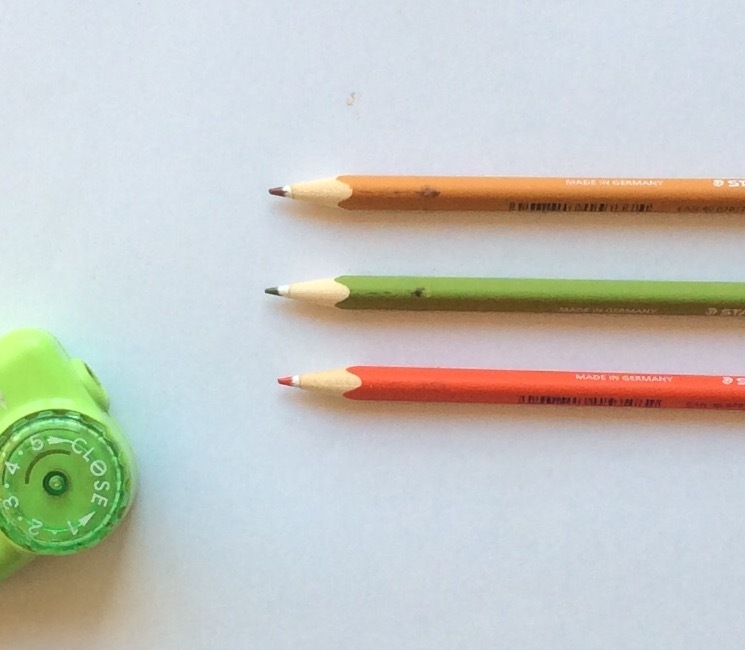 Despite the triangular barrel, they sharpened well with the T'gaal sharpener and the Faber Castell triangular sharpener. These photos also show the white coating around the core; the ABS. Using the darkest blue and a Derwent battery eraser, the results are pretty good. * These pencils was sent to me for an honest appraisal. Thanks.